No “Trusted Voice” Option Coming to the Nexus 6? “Trusted Voice,” the newest Smart Lock option that seems to be rolling out to select Lollipop devices running the newest version of Google Play services, allows you to setup a secure lock screen that can be bypassed by you saying, “OK, Google” when doing a search or attempted to perform another action. The feature attempts to learn your voice, thus turning it into a “trusted” voice that is used as a password of sorts. Instead of having to swipe out a pattern or punch in a PIN every time you want to do a quick search, you could say, “OK, Google” followed by a search and your phone would unlock and take you to the results. Pretty straight forward stuff that one could argue would be quite useful depending on the situation. Unfortunately, this new feature may not be coming to Google’s newest phone, at least for now. Support documentation that details the new “Trusted Voice” setting mentions specifically that “This feature isn’t available for Nexus 6.” That’s odd, since the Nexus 6 is Google’s new phone that is typically used to show off new features and technologies. At this point, you can still activate basic searches with “Ok, Google” when the screen is off, but if you want to do anything more than that or even tap on a search result to open it, you will still have to enter in your secure lock screen password, PIN, or pattern. 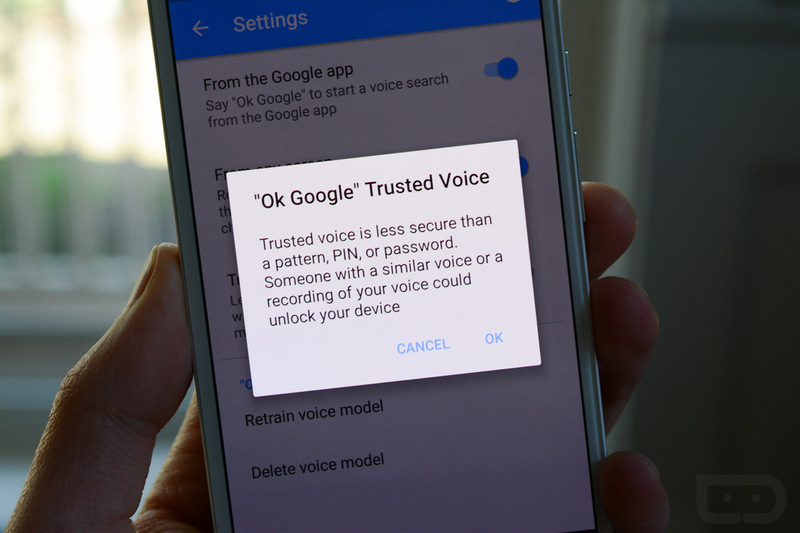 Nexus 6 owners, are any of you seeing “Trusted Voice” available? IKEA's Wireless Charging-Ready Furniture Arrives in the US "Late Spring"